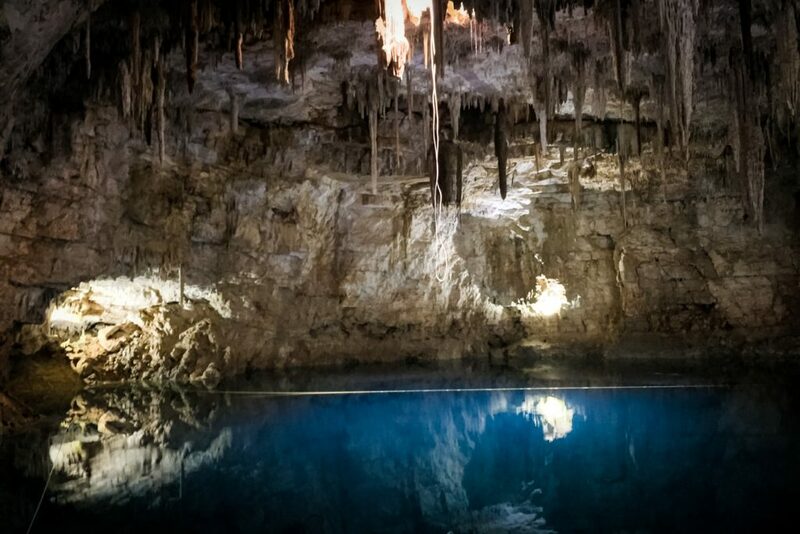 The cenotes are a must-see if you travel to Yucatan peninsula. Due to the limestone rocks and the extensive underground river system, Yucatan is probably the best place in the world to explore cenotes. 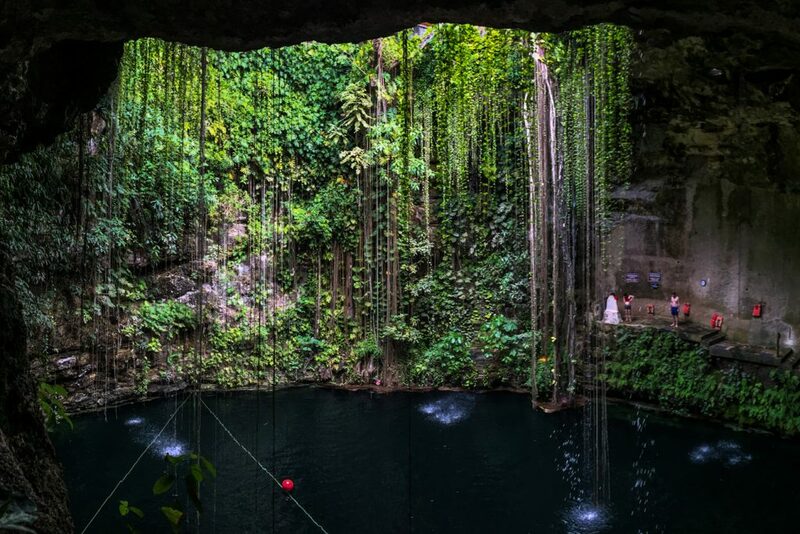 In Mayan times, the cenotes were the main source for fresh water and were seen as openings to the underworld. 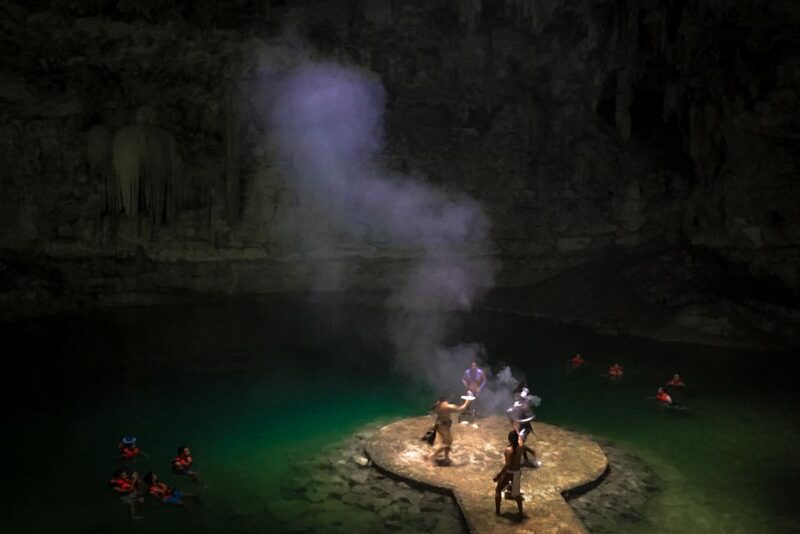 Many cenotes were considered sacred and sacrifice remains were found by archeologists in the waters in some cases. 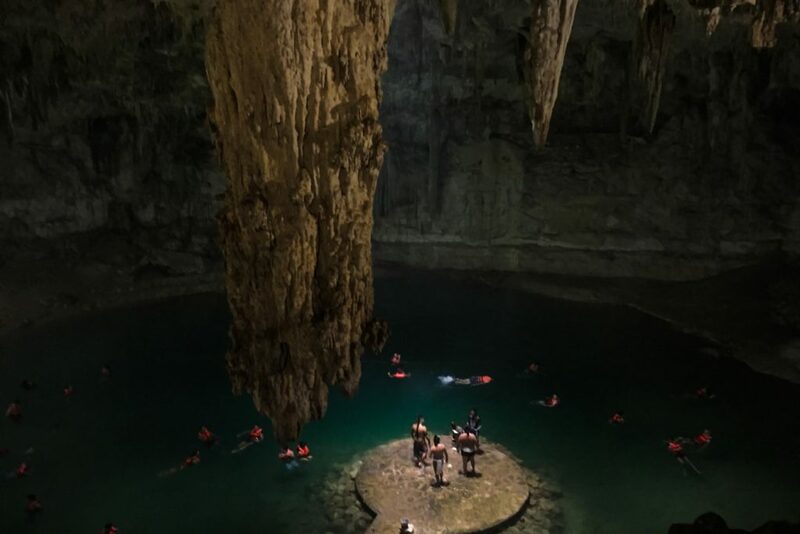 Nowadays, the cenotes in Yucatan are a huge source of tourism for Mexico, some of them being even threatened by the number of visitors that enter the clear waters. 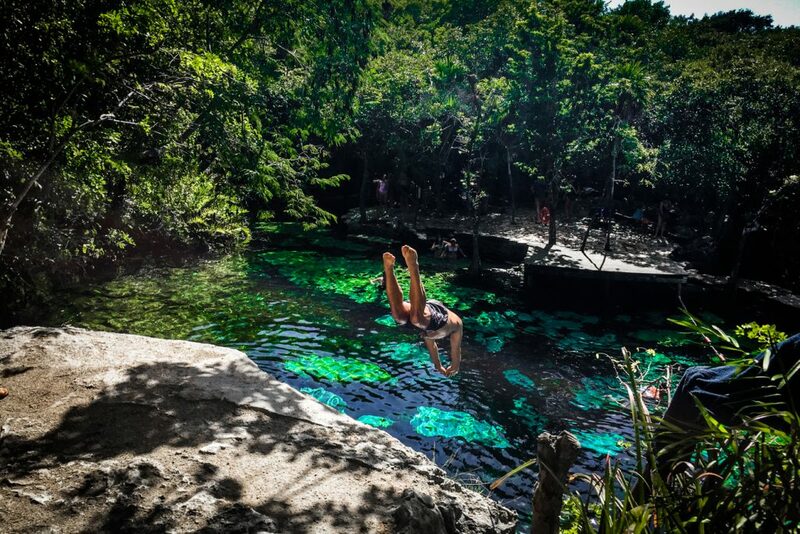 Swimming in cenotes is a unique experience, not to mention there are some great location for snorkeling or diving in cenotes. There are so many cenotes in Yucatan, open or underground, with different shapes, depth and vegetation, that you might have a hard time picking which one to choose. 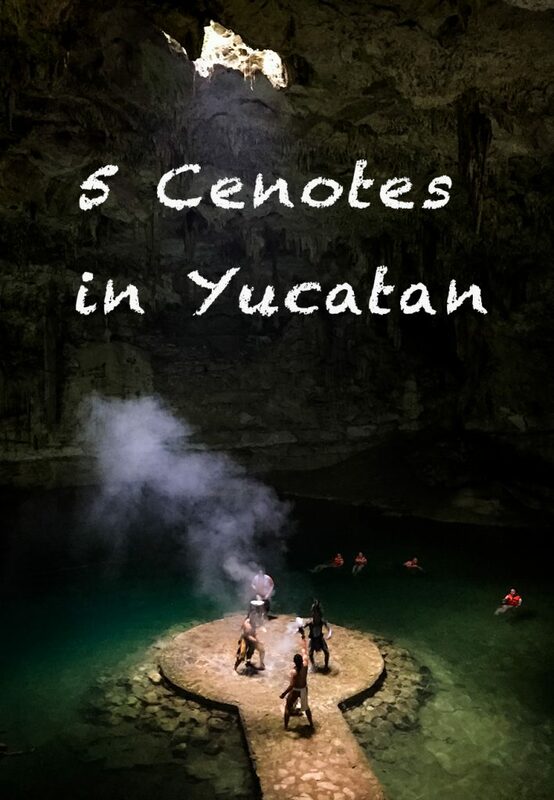 Here is a list with 5 cenotes we visited during our vacation on the Mayan Riviera. They are quite easy to reach and very different one to another, so you can get a full taste of what the cenotes mean. We preferred to rent a car to explore the cenotes on Riviera Maya, instead of taking an overpriced tour. This way we could choose what we want to see and had the flexibility to organise the way we wanted. I highly recommend you to combine the visit to one of the archeological sites in Yucatan with a visit to cenotes, it is a perfect mix of history, nature and relaxation. Cenote Azul is probably the most popular cenote on Riviera Maya. Very close to Playa de Carmen, right next to the highway, it is very convenient for most tourists. It is an open cenote, so not that spectacular, but more suitable for bathing and relaxing in the sun. 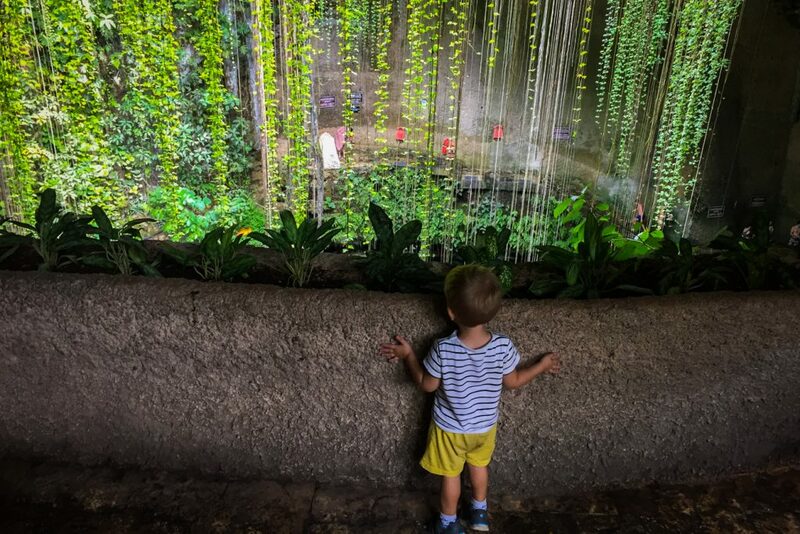 It has shallow waters too, which makes it perfect to visit with children. 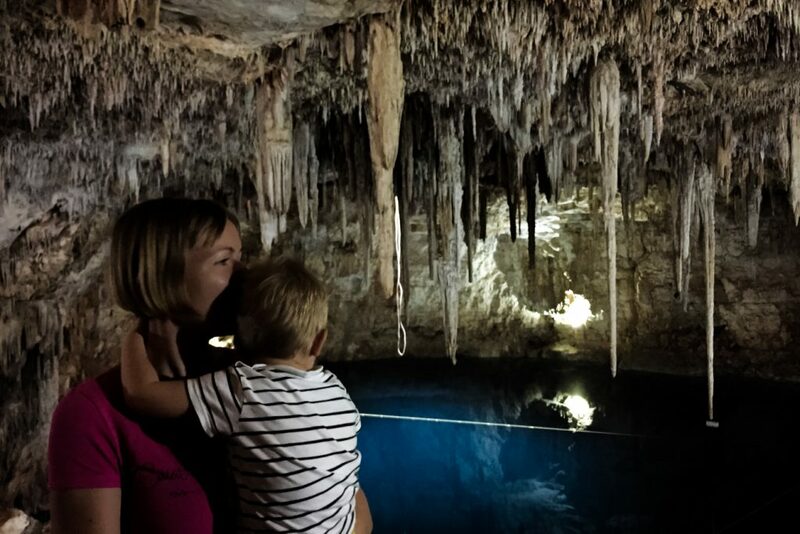 Eric didn’t particularly enjoy the dark cave cenotes, but loved to bathe in the open ones! Located next to the highway that links Playa del Carmen with Tulum, we stopped here after visiting Tulum ruins. It is the perfect place to refresh after walking a few hours in the sun! Nicte Ha is an open cenote, full of water lilies. It is just like a lake with clear blue waters, surrounded by rocks and lush vegetation. The best about cenote Nicte Ha is that it is not very popular, not included in the tour buses itinerary, so you can enjoy it even more. Cenote Dos Ojos is located also in the same complex. This one is more popular, much larger, with better facilities and more expensive. 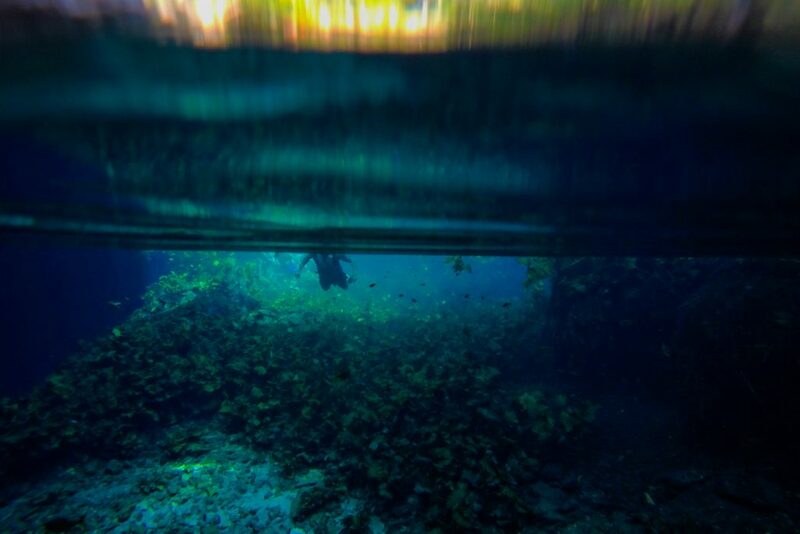 People said to be one of the best for diving in cenotes, which was not the case for us this time. 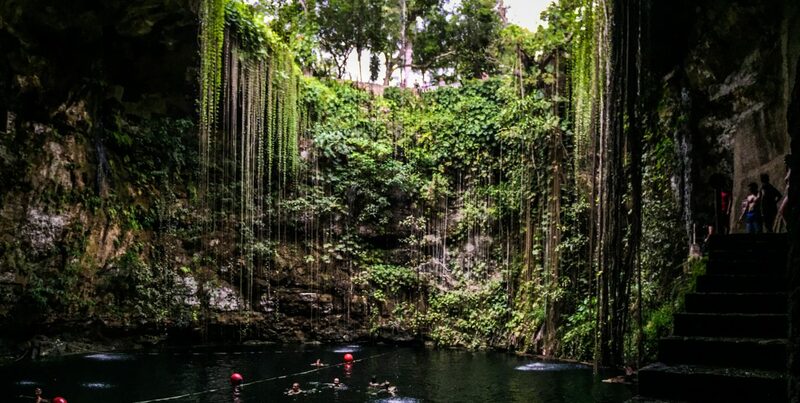 Very close to Chichen Itza, we stopped at Cenote Ik-Kil for a quick refresh after visiting the famous Mayan site. Right across the street from Hotel Okaan, where we spent two nights, we could avoid visiting at peak time. Ik-kil is part of many tours, so it can get very crowded. 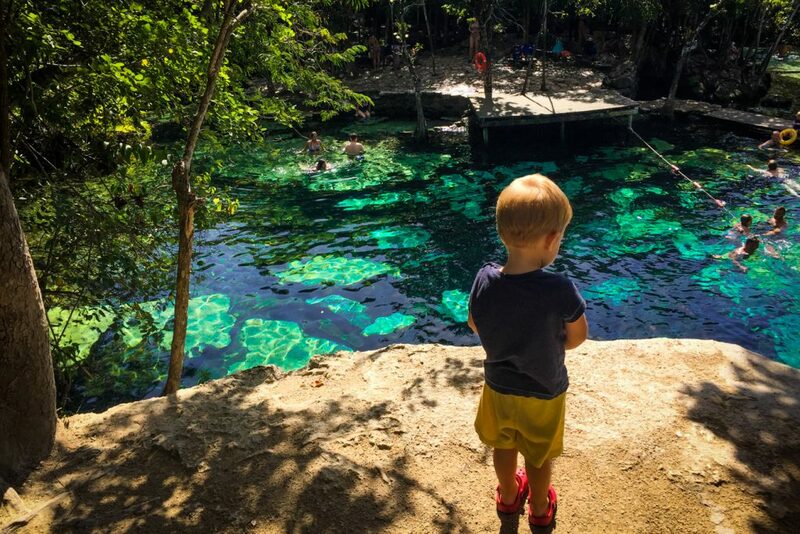 Even though it is not at all child friendly, it was worth to visit Ik-kil, due to its unique setup: a deep sinkhole with blue waters, surrounded by lush vegetation and green vines hanging down the walls. No wonder Mayans considered it sacred and used it for sacrifice rituals! Suytun is just a few kilometers away from Valladolid, as you head to the highway to Cancun. 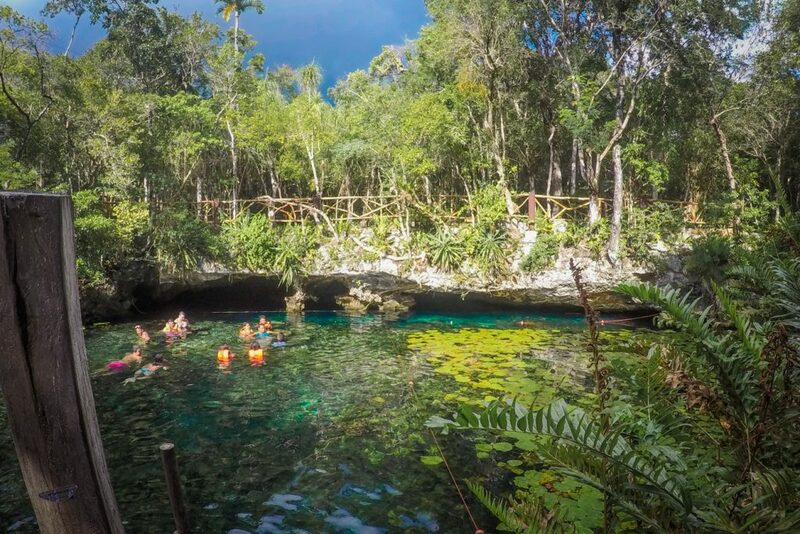 We briefly stopped here on our way back to the coast, just to take a peak of this famous cenote. It is indeed wonderful, the platform to the center and the light coming from above makes it one of the best spots for photos. The convenient location and the spectacular view makes it very popular and crowded. So it gets very touristic too, with lots of souvenirs sold at the entrance and locals performing Mayan dances and rituals inside. If you want to avoid the over-tourism, better head there in the afternoon. Somewhere around 3 PM the tour busses are already heading to the coast, so you’ll have the place for yourself. Another cenote close to Valladolid, but which requires you to make a short detour from your way to the coast. But it is totally worth the extra time! Our timing was right when visiting Cenote Palomitas, so we had the place just for ourselves! Be careful, there are some steep wooden stairs heading to the cave. But you will be amazed by the clear blue waters and the stalactites in various shapes and sizes. Have you ever visited or swim in a cenote? 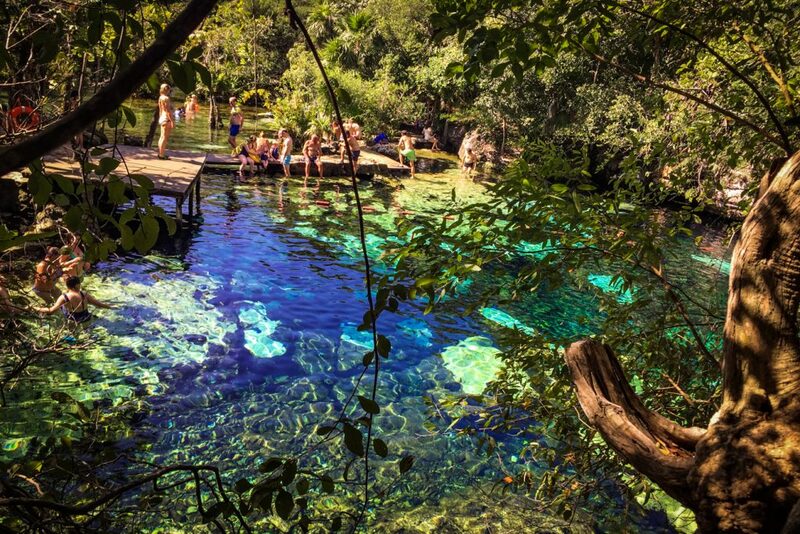 Which other cenotes you enjoyed in Mexico?